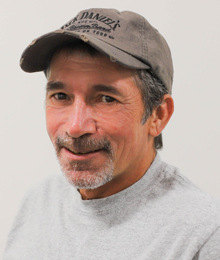 Ben Howard joined the County Board of DD as a maintenance technician in 2017. Originally from Dayton, Ohio, Ben spent his teen years in Illinois before joining the Army and eventually landing in Marion. He has been in the maintenance and the heavy equipment field for his entire professional career and has several maintenance certificates. Ben jokingly claims that he has a master’s degree in real life, which we all know can be very valuable. Ben enjoys many aspects of his job. He said the staff and those we serve are great. He also loves to make a difference by creating an attractive and inclusive environment at MCBDD. His wish for those served is that they feel safe and accepted in our community. He wants them to know that they are supported –not only by the County Board of DD – but also by the community. Ben has three grown children and two grandchildren. Ben’s youngest son has a mild form of Cerebral Palsy and has received assistance from MCBDD in the past. Ben loves spending time with family, playing with his drones and other model aircraft, Indoor gardening, and drawing on his AutoCAD program.